Chili is my run-to dinner when the temperature outside drops into the single digits. It's hot, hearty and hella good. This weekend I made a batch to welcome home my two favorite skiers after a long day on the slopes. Chop onion, garlic and sweet green pepper. You'll need to use your imagination for what a chopped sweet green pepper would look like here. 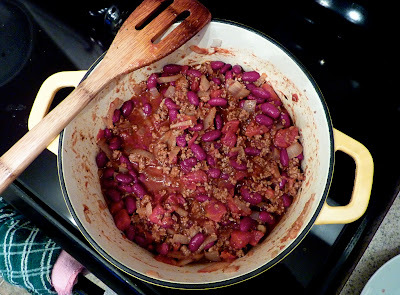 When it came time to cook my chili I didn't have one because I used it in another recipe earlier in the week. Doh. 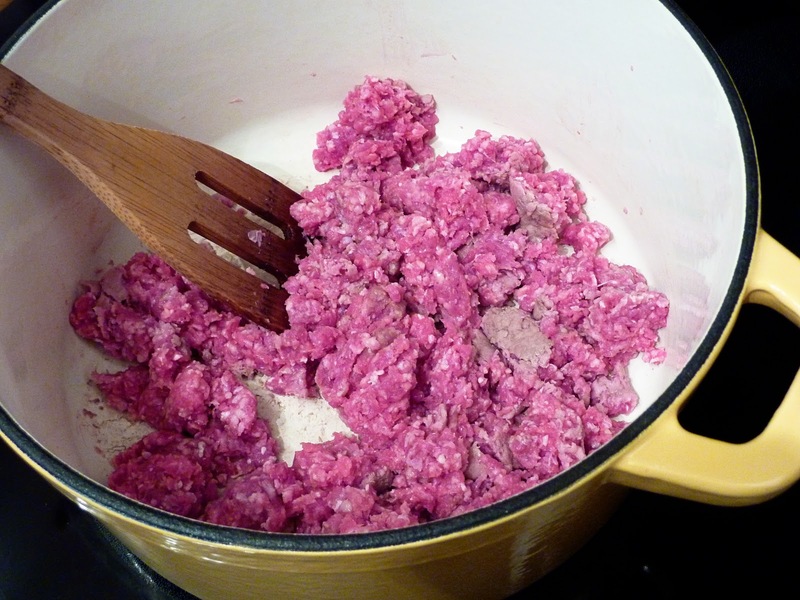 In a large soup pot, crumble the ground beef and begin browning over medium-high heat. 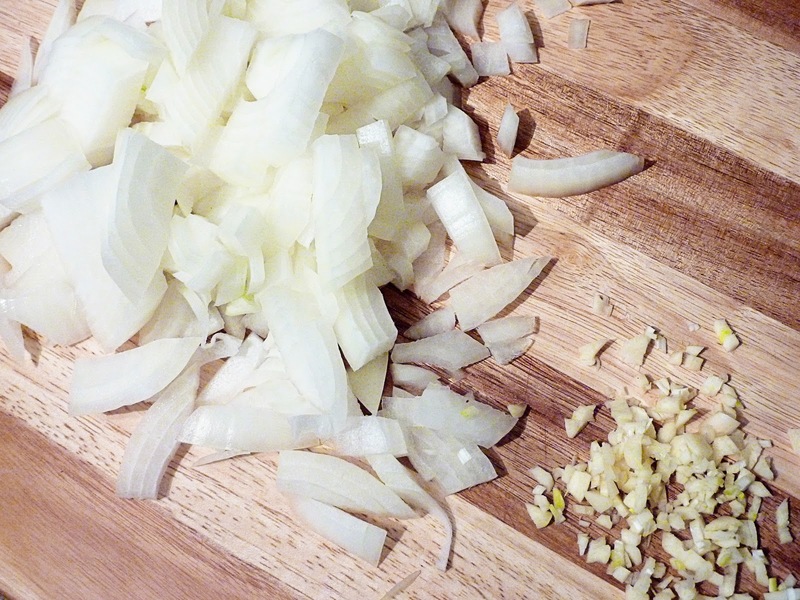 Add the chopped onion, garlic and sweet pepper. Time to use your imagination again. Close your eyes and picture little specks of green in this photo. 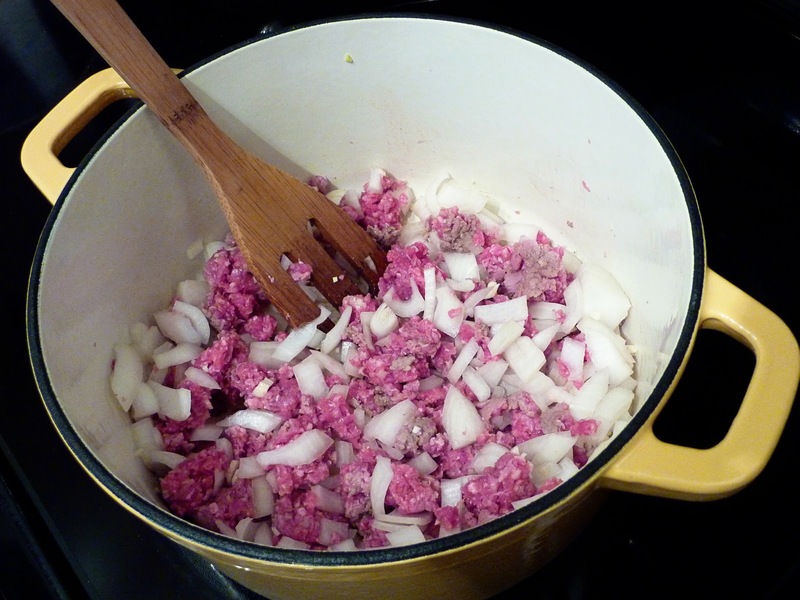 Saute this mix until the meat is throughly browned and the onions are tender. Add all of the remaining ingredients - diced tomatoes, kidney beans, tomato sauce, chili powder, basil and black pepper. Stir to combine. Bring to boiling. Reduce heat to low. Cover and let simmer for 30 minutes, stirring occasionally. 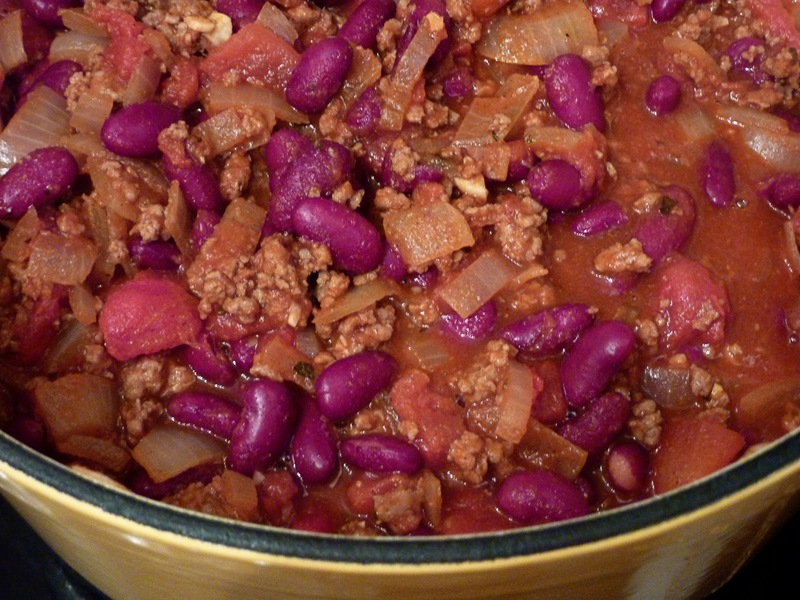 The flavors in this chili come together so nicely in such a brief amount of time. Enjoy with a cool crisp salad and some cornbread. You'll be in heaven in a hot, hearty and hella good kind of way! 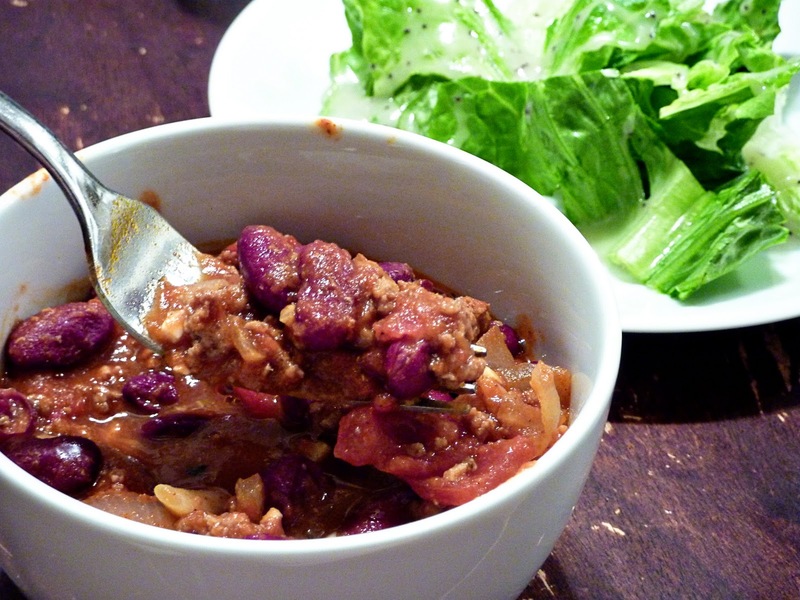 This chili is also easily adapted for the crock pot. Ol' Bessie loves going to work on this first thing in the morning. Mama is extra happy in the evening when all I need to do to get dinner ready is grab a ladle and start dishing. Brown meat, onions, garlic and green pepper as described above. 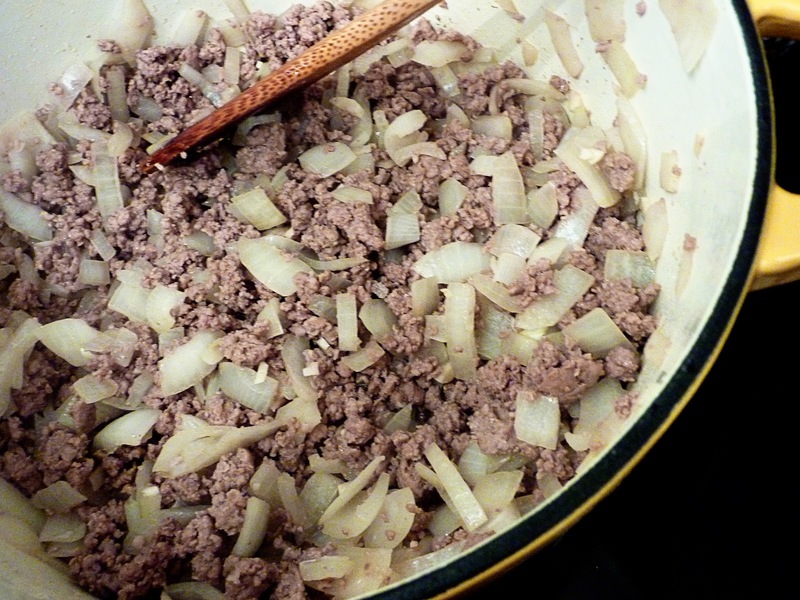 Place in the crock-pot with all of the remaining ingredients. Cook on the low heat setting for 8 - 10 hours or the high heat setting for 4 - 5 hours. I found this video when I was googling how to spell "Hella Good". One 'l' or two 'l's? That was the question. It's two 'l's. Thanks for your help Gwen.